The recent wave of anti-Semitic incidents including bomb threats against Jewish institutions, vandalism to synagogues, and desecration of cemeteries, has resulted in considerable concern and angst in the Jewish community. 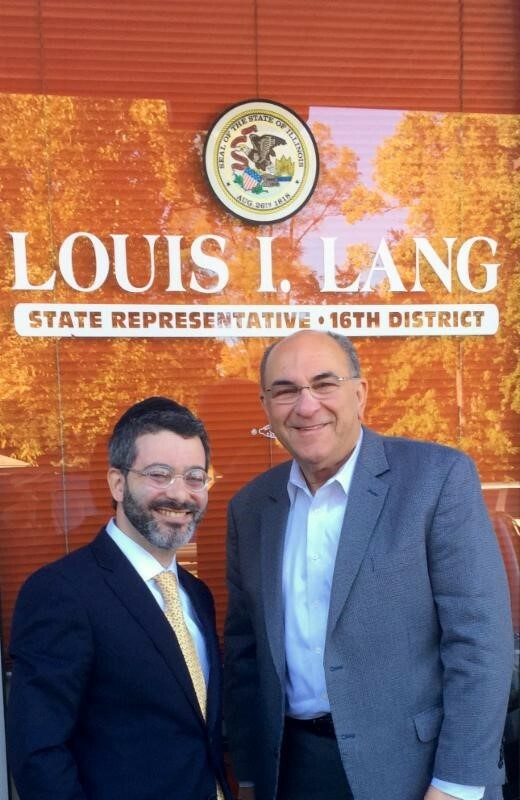 Agudath Israel lauded the response of Illinois House Deputy Majority Leader Lou Lang (D-Skokie) who proposed legislation on Monday to provide $25 million in emergency security funding to at-risk non-profits. The bill already has a bi-partisan list of 16 co-sponsors. The legislation, House Bill 4011 and House Bill 4012, would establish a $25 million grant-making program in the Illinois Secretary of State’s office and authorizes the Secretary to approve grants to at-risk nonprofit agencies and institutions based on detailed threat assessments. Financial assistance would be made available “on an emergency basis” to institutions to prevent or respond to attacks. Funds could potentially be used for security guards, target-hardening capital projects, and other security measures. Lang, who has worked closely with Agudath Israel of Illinois for many years, represents a diverse constituency including a large Jewish community among other minority groups. Agudath Israel also commended Governor Rauner for outlining a number of objectives to protect minority communities from hate and violence. The new measures included improving law enforcement training and response to hate crimes, strengthening hate crime laws, expanding holocaust education, and strengthening Illinois’ anti-BDS law.